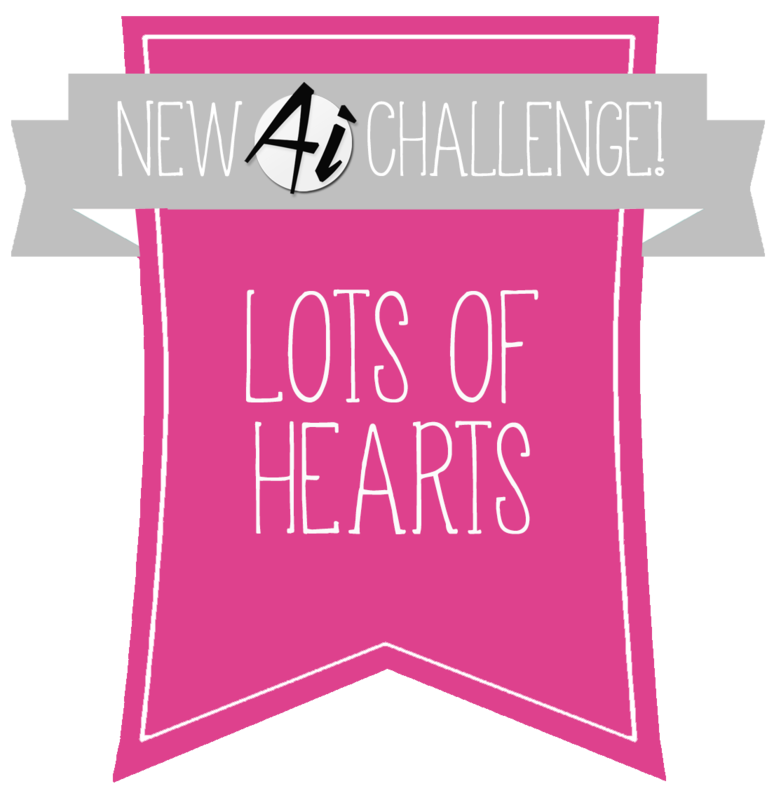 Art Impressions Blog: NEW Challenge 248 Lots of Hearts! PLUS Facebook Live Monday at 11AM MT! NEW Challenge 248 Lots of Hearts! PLUS Facebook Live Monday at 11AM MT! Hello, Ai Fans! NEW releases are coming soon! This weekend, Art Impressions will be exhibiting at Creativation debuting our Winter 2019 releases to our retailers! Take a sneak peek of brand new stamps and dies before they ship to your local store by watching our Facebook Live video! 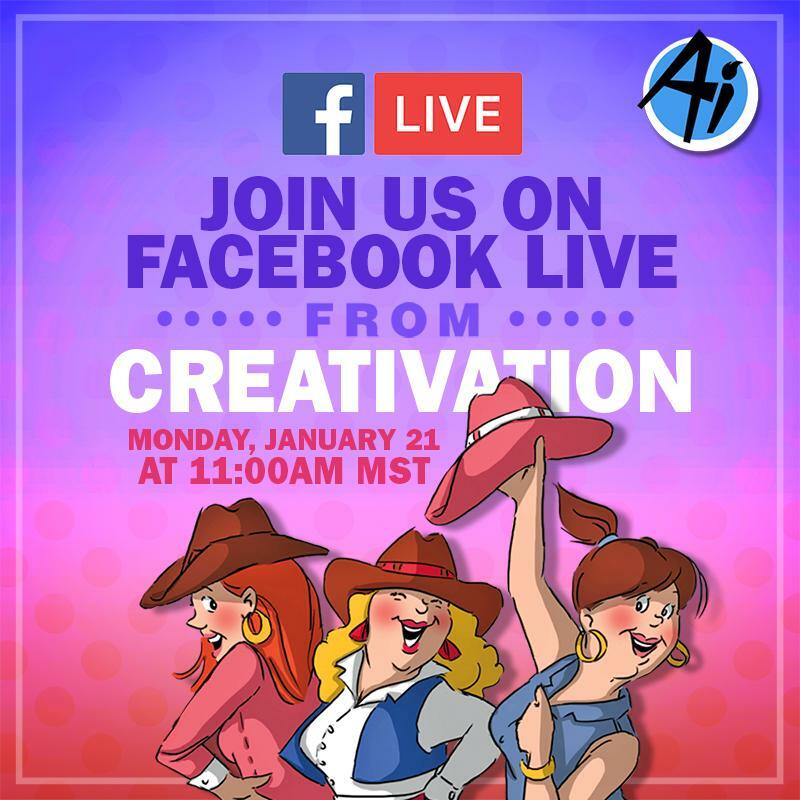 Mark your calendar for Monday, January 21, at 11 AM MT and hop over to our Facebook Page "Art Impressions Rubber Stamps" to view the live video. 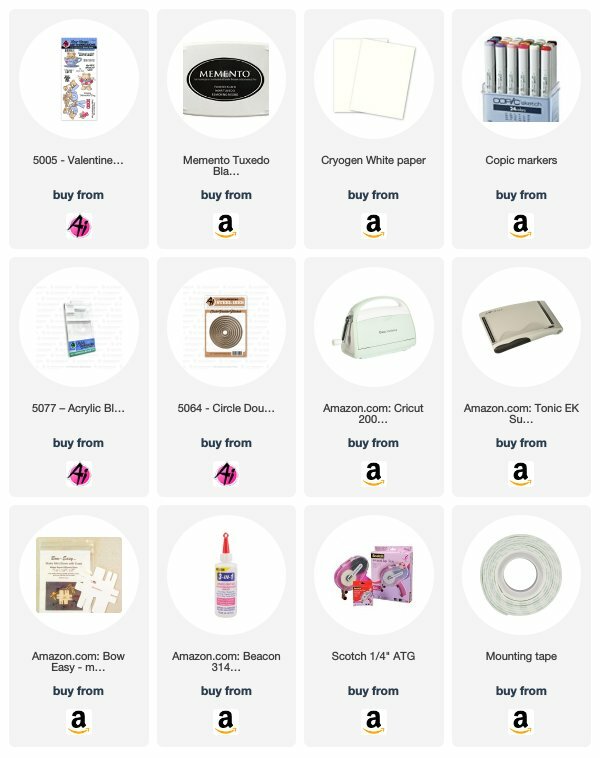 New products will begin shipping to stores February! A Facebook account is not necessary to view our Facebook Live video - simply visit our page here and if a pop-up to join Facebook appears, you can click "Not Now" at the bottom of the dialog box. If you are not able to catch us live, the video will be posted on our Facebook page for later viewing. *Creativation is a trade only event, not open to the public. To attend, you must register with AFCI with credentials as a blogger, designer, buyer or category as specified on the AFCI website. Please contact AFCI with any questions about membership or registration. 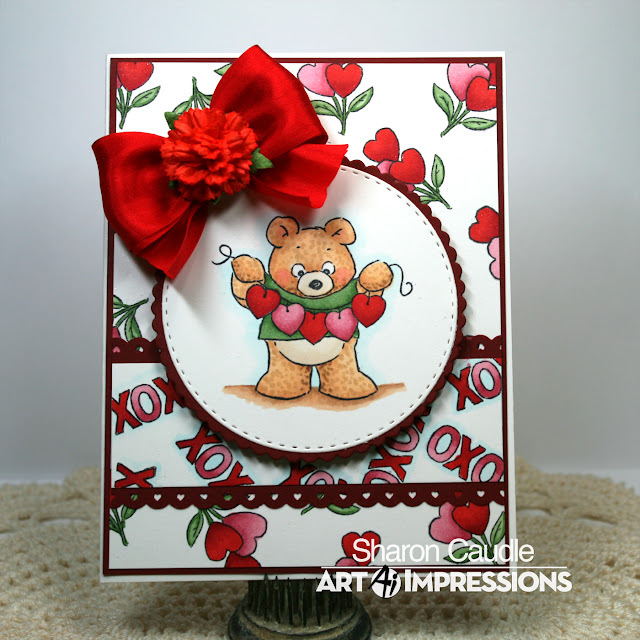 We are also back with a NEW fun challenge perfect for your "love" cards! But first, let's wrap up last week's Pretty Pastels Challenge! Congrats, Irene! 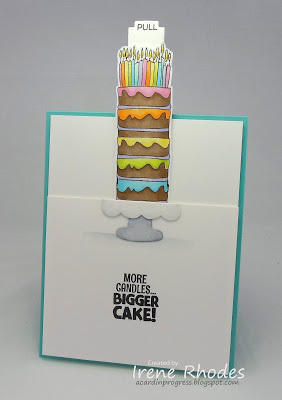 We found your secret slider card to be super entertaining with the huge birthday cake you stamped! 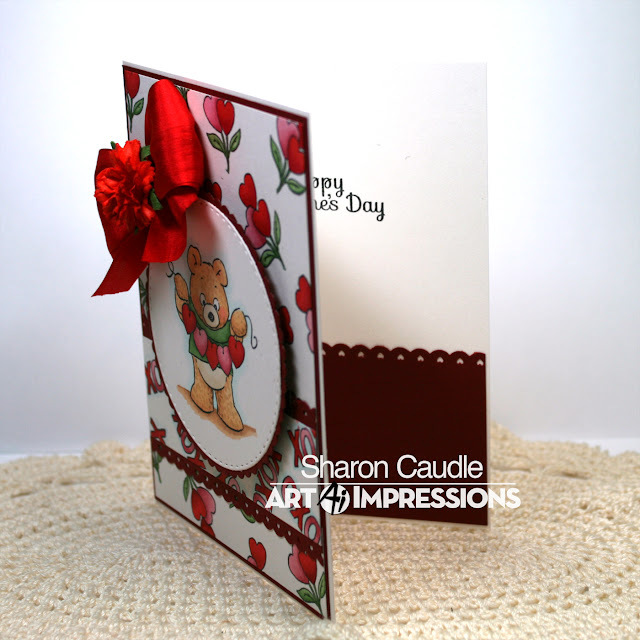 Hop over to Irene's blog for a couple more photos of how this card works, as well as the matching envelope. The pastel colors look delicious! Email annelise@artimpressions.com with your address to claim your prize pack! Congrats, you two! Amy, we love the coloring on our In the Air skunks! Your card has a wonderful balance of color and white space for a divine love card! 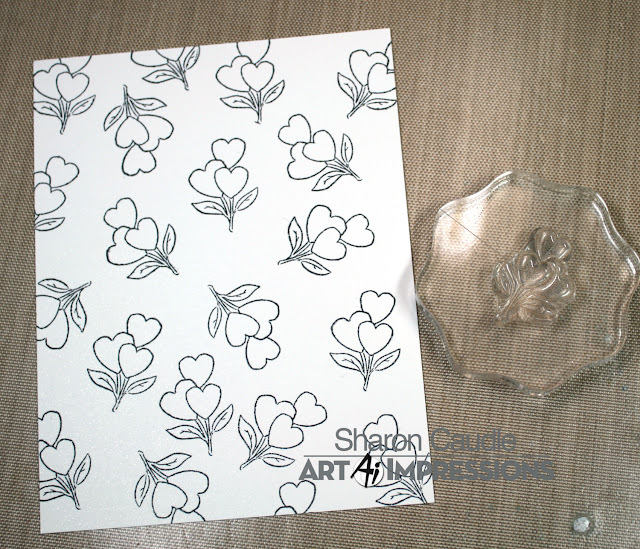 And Angels, your floral watercolor card is beautiful! 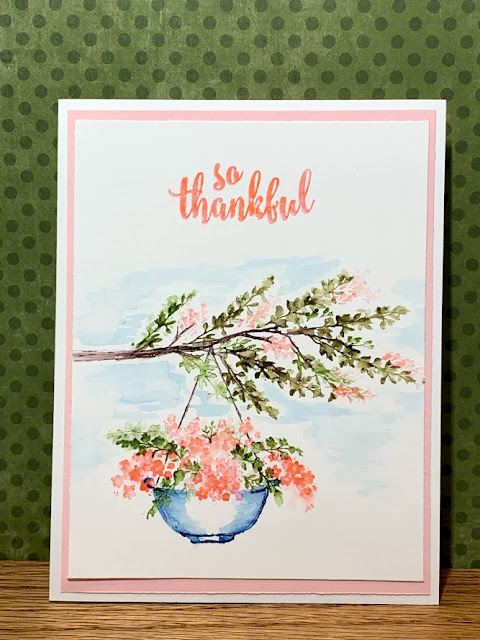 We love the bright colors you achieved with your watercolor markers. 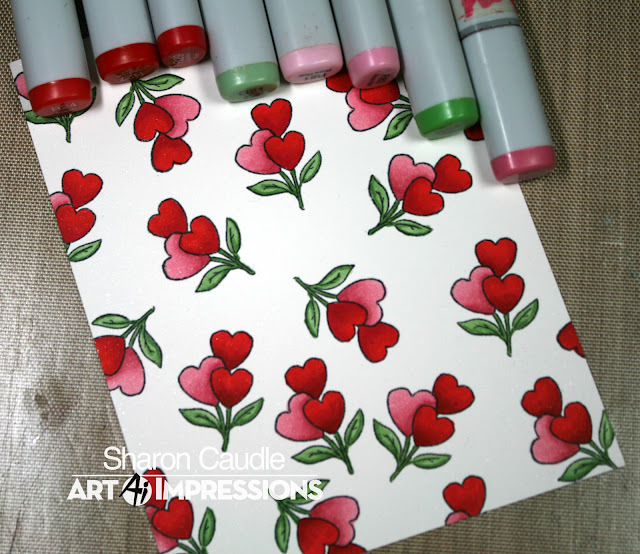 Email annelise@artimpressions.com and select a stamp set of your choice as a prize! And finally, here's Sharon with inspiration for this week's challenge! I had so much fun with this Lots of Hearts challenge! 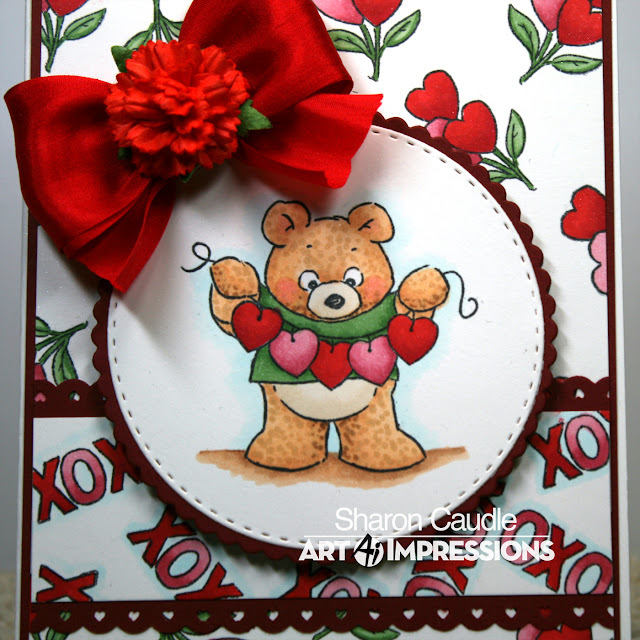 I just ordered this super cute set #5005 Valentine Bears Set from Art Impressions, and couldn't resist using it!!! 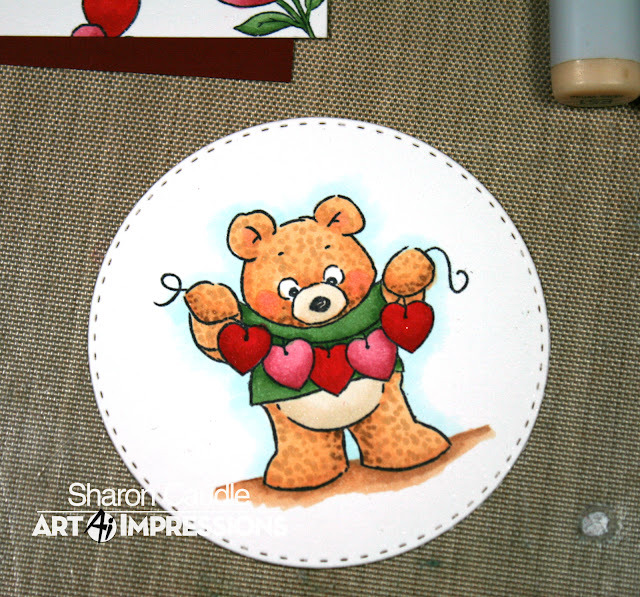 Next I used the Circle Double Stitched Dies to create a base for my main image, that adorable bear holding up the string of hearts. Then I die cut a scalloped mat with another die set I have. I layered it all up and added a bow and flower. I sure hope you join us in the challenge and I can't wait to see what you create! Thanks for stopping by for a visit and until next time - stay crafty! Thank you, Sharon! 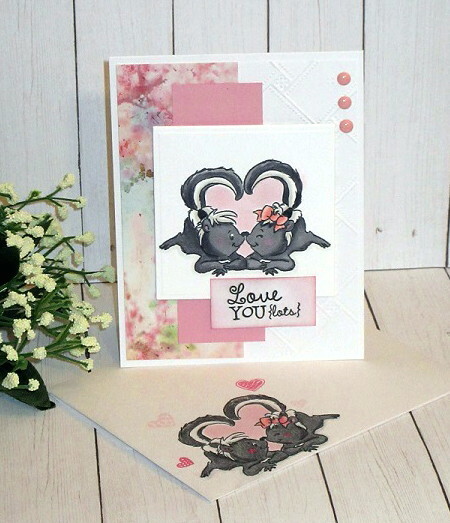 Your card is just too cute! Ready for a new challenge? This two-week challenge's theme is Lots of Hearts! You can do anything with this challenge, but it's a great time to make some love cards in time for Valentine's (or Galentines) Day! ✻ Make sure to get your link up by Wednesday, January 30 at 5:00 p.m. PST to enter your creations.